This morning as I drove to work I found my mind drawn to thoughts of the future. With money worries in mind I thought, we can probably be totally debt free within five years if we keep on this track. Now, who doesn’t love the thought of being debt free?! I realized, though, that my thoughts were leaning in a direction I was trying to get away from recently. Although I’d always been a fan of the five-year plan, God had been speaking a different viewpoint to me as of late. As a person who had always been anxious about finances and fearful of things out of my control, I now longed to be like the birds of the fields who flew free without thought of storing away in barns, yet the Lord still fed them. I wanted to grow like the flowers in the field, not laboring or spinning, yet still dressed in splendor. I desired to not worry about tomorrow. My longing, though, was very un-American. I lived in a country of more than adequate plans for the future. It was an “in-case-of-emergency” generation. We could break glass and find the solution to any potential problem that might possibly occur. You could get health insurance in your twenties, paying $1000 a month, just in case you fell and broke a bone. You never knew what could happen, and it was best to be prepared. We had cancer insurance since it was such a common illness. Better safe than sorry. 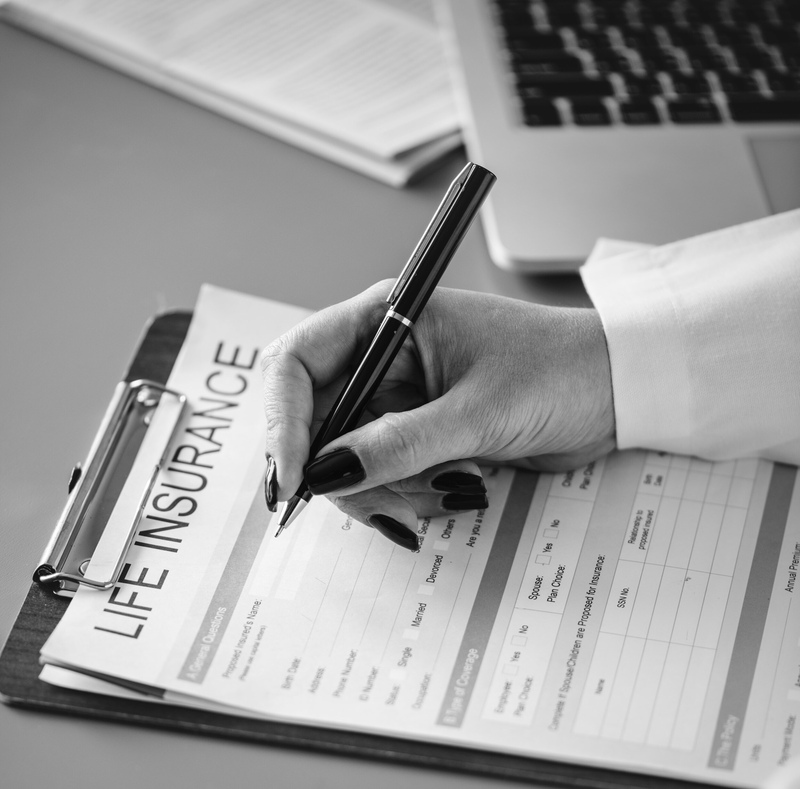 You could pay as little as $50 a month for a $250,000 life insurance policy, so your family could be taken care of when you died. Don’t forget the funeral expense rider you could add on, to cover final expenses, and ensure the best quality casket money could buy to hold your final remains. You could pay for short-term disability, or an inpatient hospitalization policy to cover what your medical insurance might miss. There was homeowner’s insurance, renter’s insurance, car insurance, and calamity insurances of all kinds. Most of these are mandatory to have by law. Did you know they even have wedding insurance? It covers your expenses in the case of a broken engagement right before the big day! We are a smart, savvy generation that knows how to plan for tomorrow. We’re planning for retirement, our financial future, and how we’ll spend our golden years. We’re investing in the future, planning for every possibility, and making ourselves feel secure for the unknown. Because, really, isn’t that what insurance is all about? You don’t know what the future holds, but just in case it’s bad we need to have a bailout plan. If everything falls apart or goes wrong we need protection, provision, and a mighty hand to pull us from our problems. In case of accidental death, your family needs that million dollar payout to cover the exorbitant mortgage, maxed out credit cards, and [a] driveway full of new cars. I wonder if the monthly payment for life insurance would be better spent paying off excessive debt? Wait, what did I just say?! I mean, insurance is smart. Planning for the future is prudent. These are things we’ve been taught for years, and it’s been driven into our brains by clever commercials and passed down stories of people left penniless by a thoughtless spouse. I get it. And to a degree, I agree. Yet I wonder… are we as followers of Christ over-insured? Have we placed our security on a policy more than we do God’s provision? Have we replaced His chance to provide in our life by paper products that promise prosperity in the face of possible problem or peril? Perhaps. It’s an unpopular opinion, but what if we spend so much time worrying about tomorrow that we can’t enjoy today? We work and work, long hours, day after day, skipping vacation, missing our kids grow up, but all the while saying, “I’ll get to retire one day.” We scrimp and save, depositing money every week into our saving’s account, yet we aren’t even promised tomorrow. You could get hit by a bus next week and never get to use your Beach Fund. I recently cared for an elderly man who was in his final days. His wife stuck by his side day and night. One day as she asked about my life I told her about my family and I traveling the country in an RV. That made me so sad, but this sort of thing happens every day. We plan for the future. We hold off on our dreams with plans of fulfilling them later. Yet sometimes later never comes. The irony is that we’ll place enough faith in our future health to wait until we’re seventy to travel, but we’ll purchase a huge life insurance policy at thirty in case we die tomorrow. How does that equate? Where do our priorities lie? We store up our treasure in barns or banks, yet we won’t take any of it with us. We invest so much value in our home and our possessions, working day and night to maintain more, yet the legacy we leave behind us is often grown children who will not know us, nor will they have any precious memories to hold on to. We desire to trust the Lord in our life, but if you pulled out a scale and placed your faith on one side and your insurance policies on the other, which would hold more weight? Does your security rest in Christ, or is your trust in your 401K? And I can get along with that. I can agree that it’s prudent to plan for disaster. My only question would be this. Is that where your hope lies? Does your hope in the future rely on the things you have done? You’ve made all the right preparations and plans. Now you can feel safe and secure. Right? No matter what happens you’ve got it covered. It makes you ponder if perhaps the modern-day golden calf isn’t our own ability to plan and protect our financial future? Maybe we’re bowing down to security, safety, and the right insurance in case of disaster. We feel all warm and cozy in the arms of annuities, and safe under the wings of wise Wall Street investments. This flies in the face of everything you’ve built your future happiness upon, but it’s worth considering. 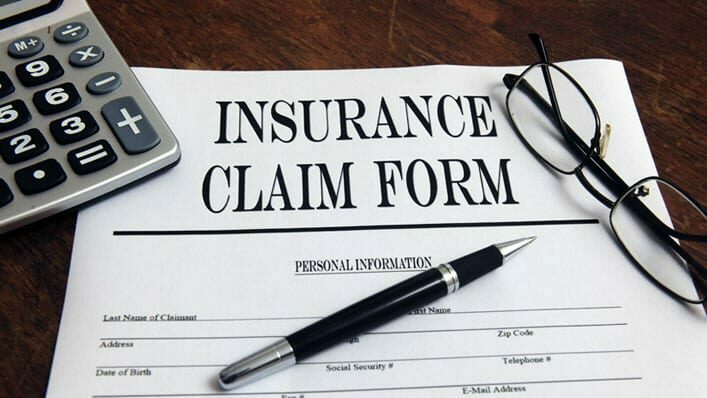 Are you over-insured as a Christian? Have you replaced a lot of your faith in God with faith in man? Do you go to church on Sunday and pray, “provide for me, Lord. Give me your favor and bless my family!” But then on Monday morning find yourself worried and anxious for the future? Why do we get insurance? Most of the time it’s because we worry for what could happen. We worry how we will make ends meet if we can’t work. What if I get sick? Healing never comes to mind, but short term disability does. This is a hard pill to swallow, but it’s worth consideration. I’m not trying to tell everyone to go cancel their life insurance right this minute. But I am encouraging you to ask yourself the tough questions. Are you trusting God for your future, or are you trusting Allstate? Are you enjoying today, or are you too busy planning for tomorrow? Are you putting off the gifts and pleasures God has for you now, and instead of waiting until it’s a better time financially to experience life to its fullest? It just seems that in today’s fast-paced, control-freak world we are over-insured, overwhelmed, over-scheduled, and with the wool over our eyes. We’re distracted, fearful, and focused on all the wrong things. Maybe it’s about time we stop worrying about the things the pagans do, such as what we’ll wear or what we’ll eat, but instead seek His kingdom first, and these things will be given to us (Matthew 6:25-34).